The owner, Ms. Kimberley Dacay, who lived in Southern California has been exposed to fusion cuisine and she thought to have enrolled in culinary and brought this phenomenon to Cebu. She worked with different chefs from the West. Voila, she introduced an L. A. 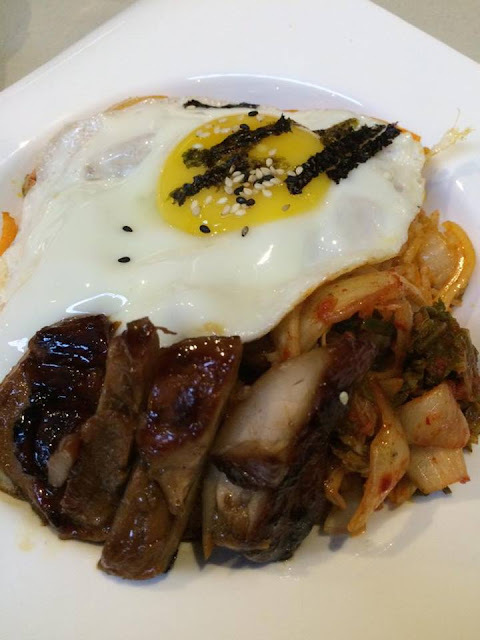 Street food-inspired restaurant, now, Señor Kimchi. 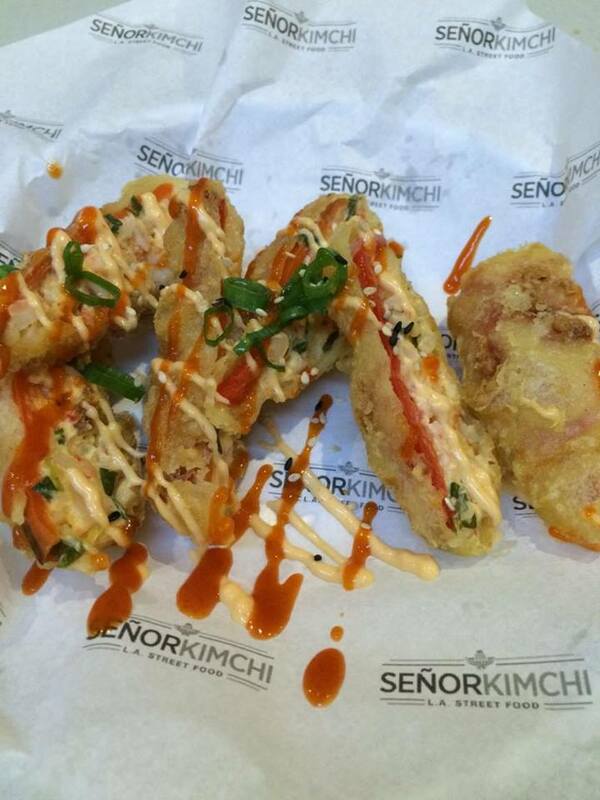 Señor Kimchi offers a mixture of flavors not only from Korea and Mexico, but also from Japan, China, and definitely, the Philippines. So expect an Asian-Mexican fusion to play around your palate. Let me share with you what I think is a must-try when you visit them in Escario. I tried their pepper bombs. I'm expecting it to be really spicy but it is not. 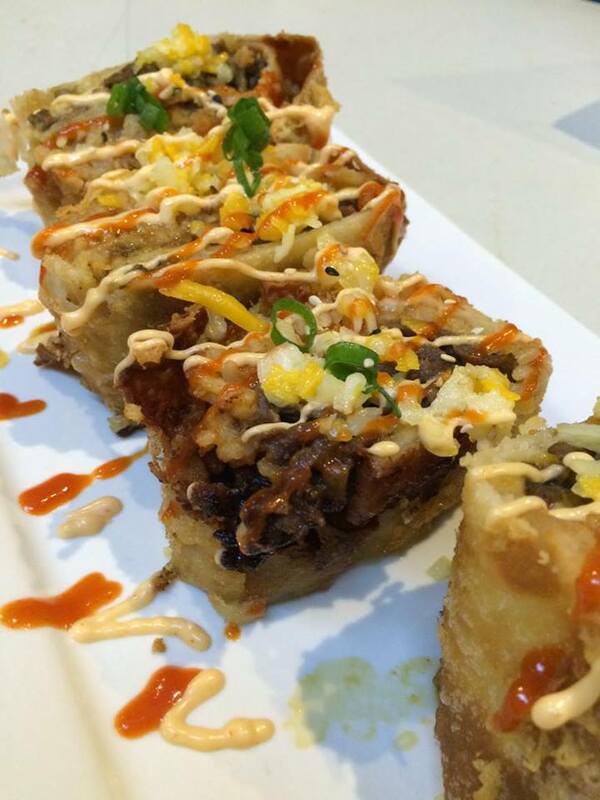 Nothing compares to dynamite rolls (chili espada). It has crabmeat, cream cheese, cilantro and topped with their homemade spicy aioli. Price: Php 165 for 6 pcs. 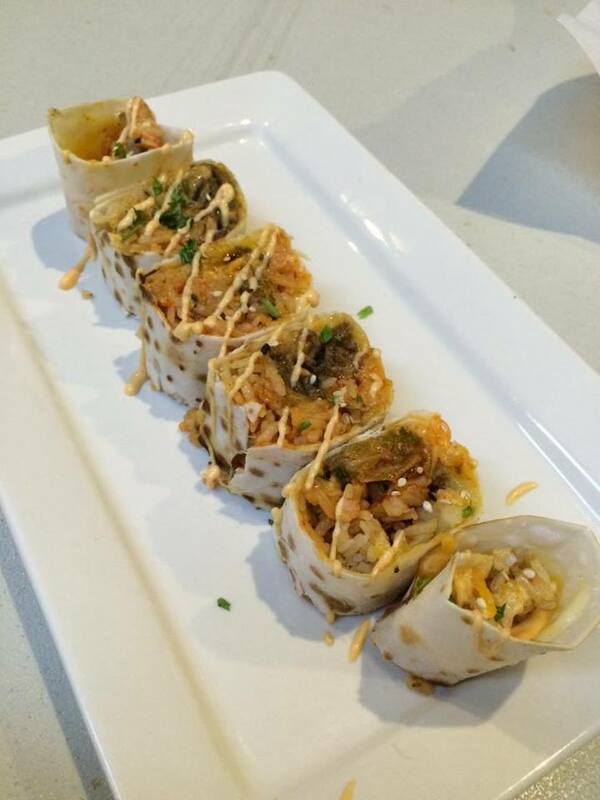 My favorite starter is their Kimchi Quesadilla Roll. It's a tortilla rolled with fresh kimchi, monterey jack cheese, rice and choice of meat. Well, I had the Bulgogi beef as my meat! Chimichanga is one of the Mexican dishes that I often order whenever I gets to a Mexican restaurant. Their version is something new and I instantly loved it! It is deep fried to perfection filled with rice, beans cheese and a choice of meat. I had chicken this time for the meat. I made to try their Spicy Pork Belly Kimchi Bowl. 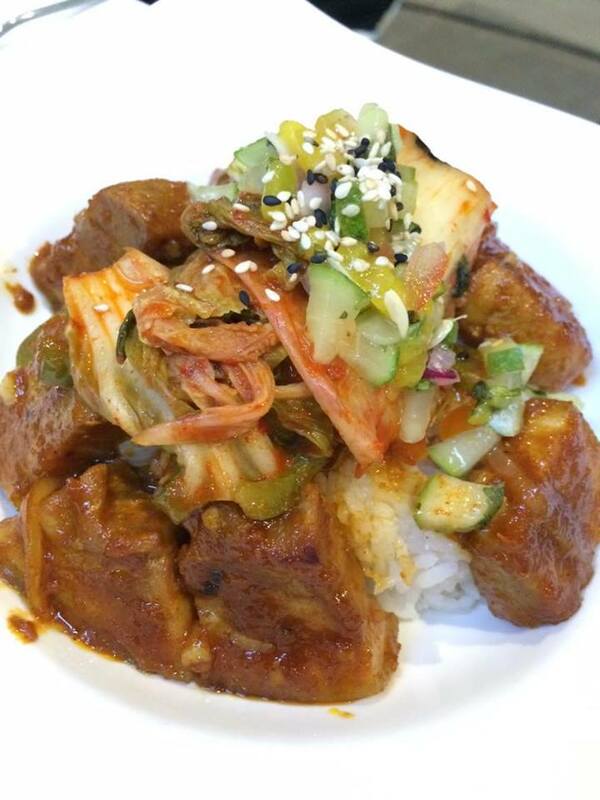 It is served with marinated pork belly over rice topped with Kimchi and fresh mango salsa! Olah! Time to make a groove! I also had their Kimchi Fried Rice. It's a stir fried rice with kimchi, red bell pepper, onions topped with fried egg and a choice of meat. Of course, I had the Bulgogi beef again! The next dish is perfect for those who are in a vegetarian diet. So I ordered their salad bibimbap. 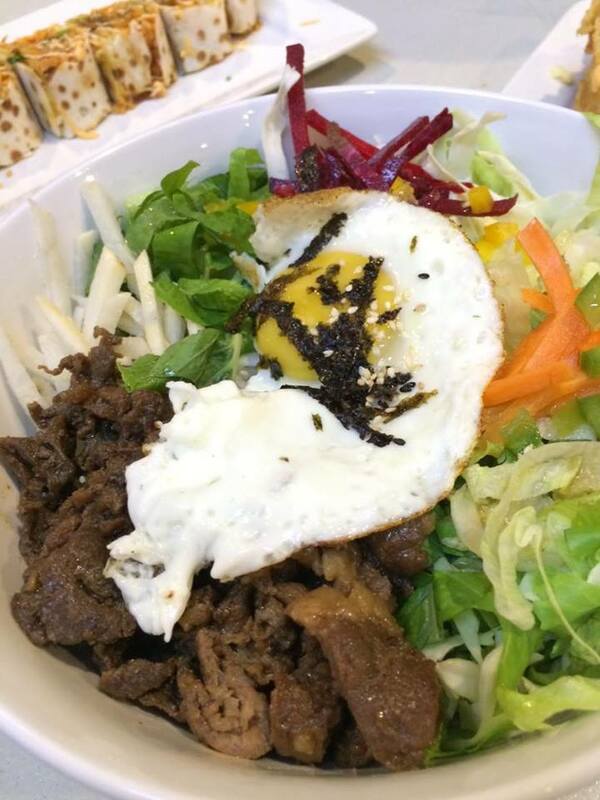 It's a bowl of rice with fresh baby spring mix, carrots, jicanna, red beets, topped with fried egg and house special ko-chu-jang sure and choice of meat. Definitely, I went strait again with Bulgogi Beef. I thought it is best to pair these dishes with a famous Korean beer, Hite! 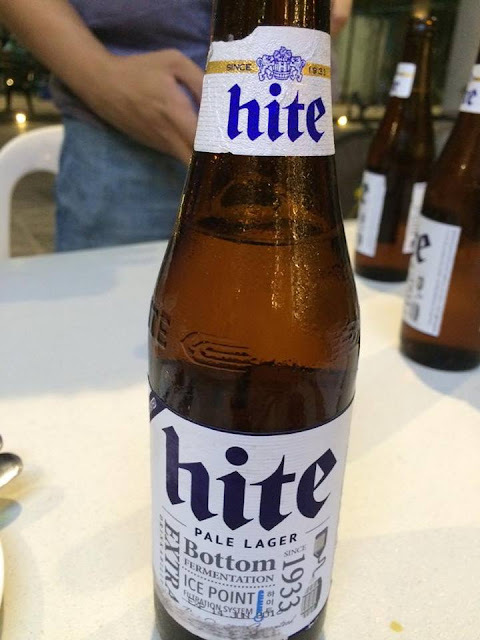 And it should be ice-cold! Ok? Here's a friendly advice. Make sure to call them for a reservation especially during dinner time! This is the only place which has been on the top of the list to have something delicious. There are having so many things in their menu which has been made from quality material.